In this article, Dan outlines Henry V’s early life and the events which led up to war with France in 1415. The future Henry V was born at the gatehouse of Monmouth Castle on 16 September 1386, which was owned by his grandfather John of Gaunt, duke of Lancaster, third son of Edward III. As a member of a junior branch of the royal family it was not expected that Henry would ever become king. His prospects were transformed, however, by the actions of his father, Henry of Bolingbroke, earl of Derby, who usurped the throne in 1399. The new Henry IV, in common with his predecessors, continued to call himself king of France even though by this time the English held only one area of France, Gascony, and the town of Calais. As the new king’s eldest son, Prince Henry was created Prince of Wales, Duke of Cornwall, Earl of Chester, as well as Duke of Aquitaine and Duke of Lancaster. 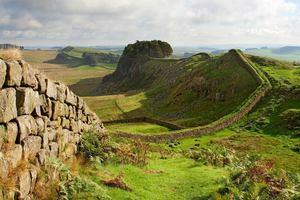 He played an important role in his father’s reign, participating in military campaigns to subdue the Welsh rebellion led by Owain Glyndŵr, where he learned much about siege warfare and the difficulties of feeding an army in hostile territory. 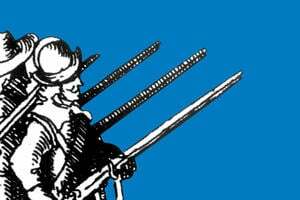 He gained battle experience at Shrewsbury on 21 July 1403, leading the vanguard of the royal army against Henry Percy (Hotspur) and other English rebels. He was wounded in the face by an arrow at this engagement: there is no doubt that he appreciated the effectiveness of the longbow. 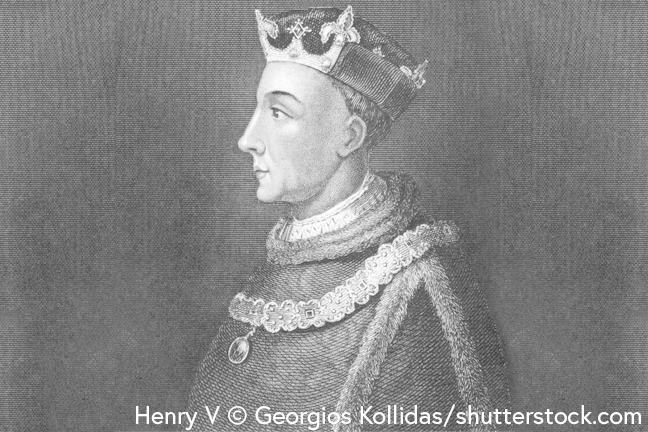 Henry IV’s health problems from 1409 onwards meant that Prince Henry played an increasingly important role in government. This coincided with the escalation of civil war in France between the Armagnacs (or Orleanists) and the Burgundians, fanned by the incapacity of the French king, Charles VI. 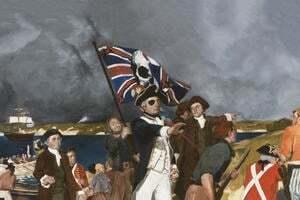 Both sides sought English military help in return for promises of the restoration of English lands in France. 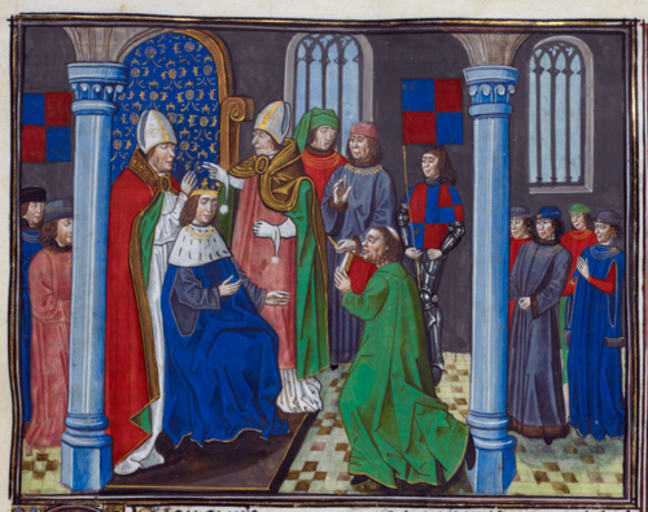 In 1411 the prince sent a force under his friend Thomas, earl of Arundel to assist the Burgundians, but after his father reasserted control in November, Henry IV chose to send support to the Armagnacs instead. Differences in opinion contributed to the strained relationship between father and son: Prince Henry left the court and was in the political wilderness. 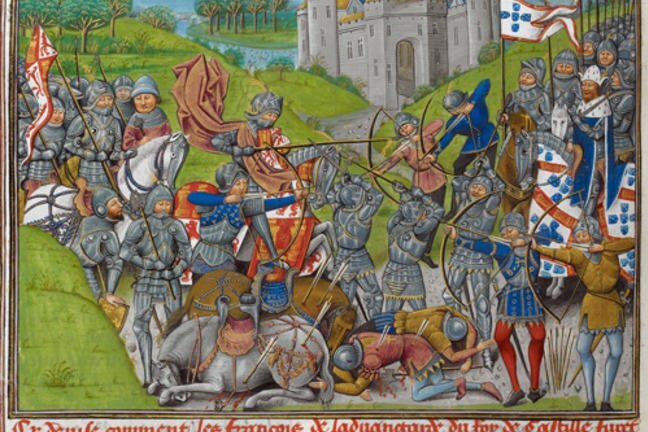 It was therefore the king’s second eldest son, Thomas, duke of Clarence who was given command of an army of 1,000 men-at-arms and 3,000 archers and who landed in Normandy intending to join with the Armagnac princes. But the French parties were reconciled with each other, and ended up simply buying the duke of Clarence off. 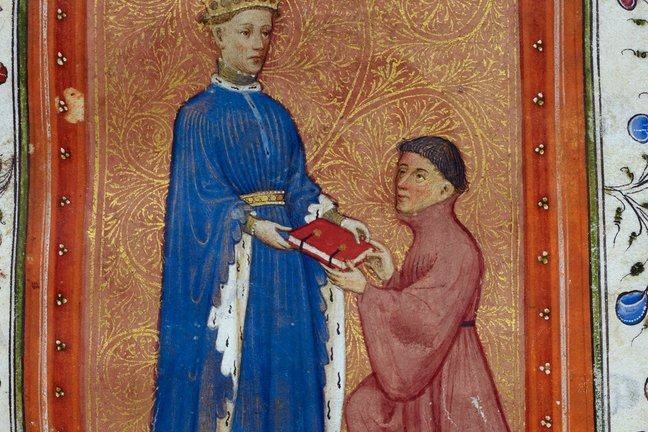 Henry V succeeded his father as king on 21 March 1413 at the age of 25. He was keen to make an impact and to redeem his reputation. He sought to take advantage of political divisions in France to secure territorial and financial concessions. It was for this reason that an embassy was sent to France in the summer of 1414. English demands included a marriage between Henry and one of the daughters of Charles VI, as well as the restitution of the terms of the treaty of Brétigny of 1360 (whereby Edward III had been conceded extensive lands in south-western France in return for renouncing his claim to the French throne). But the negotiations came to nought and Henry announced his intention in parliament of November 1414 to launch an invasion. Although he was persuaded to send another embassy, the French remained intransigent, especially after a further reconciliation between Armagnacs and Burgundians. In the meantime, Henry began military preparations, with bows, arrows, guns and other equipment stockpiled for a forthcoming expedition. At the end of April 1415, the nobility and gentry entered into contracts (known as indentures) to provide troops for a twelve-month campaign. Henry was already bent on the systematic conquest of Normandy although the intended destination was kept secret to deceive French observers. The army mustered in the Southampton area from early July onwards and ships were gathered to transport the force to France. This was the first army that had been led to France by an English monarch since Edward III’s (Henry’s great-grandfather) expedition of 1359.